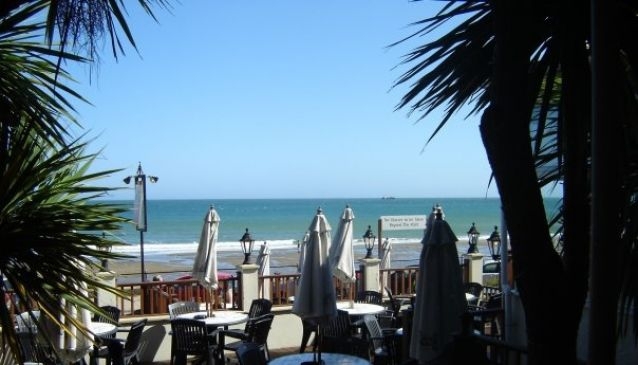 The Reef is one restaurant definitely worth stopping at on a stroll along the Sandown seafront. Fresh seafood with a sea view, The Reef is a fantastic family-friendly option at a great price without comprising quality. The Reef restaurant prides itself on using only the freshest local ingredients for a menu that aims to cater to all tastes. Fish, pasta, salads, steaks and stone baked pizzas are all available as well as a healthy menu for the children. Expect friendly and attentive service in the contemporary restaurant where nothing is too much trouble. If you’d prefer to simply kick back on the spacious outdoor decking area, there is a wide range of beer, wine and cocktails to accompany the tranquil view of Sandown Bay.